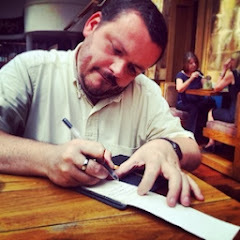 I have loads of links to post... so this will be a two-parter! 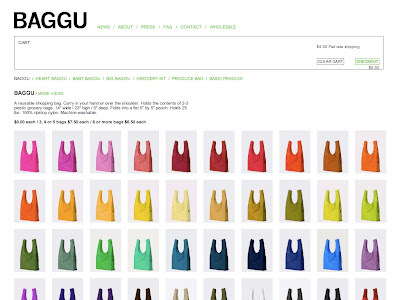 I really like Baggu's reusable totebags - they have a stylish practicality about them and beat, hands down, all other offerings. Nice! Whilst everyone and their granny is wetting themselves over Tweetdeck... 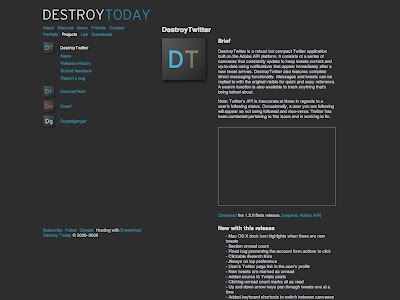 I found an alternative twitter client called :: Destroy Twitter. 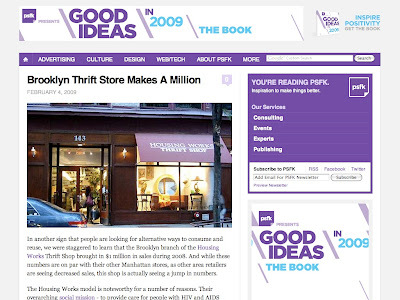 It is the pet project of Jonnie Hallman and is one of 4 really useful tools that he has produced. Most of my days are spent destroying today. To destroy today is to make the most of the day—destruction as a form of creation. This is my carpe diem. I like that attitude... and Destroy Twitter has allowed me to do exactly that... get on with what I want to do whilst making the most out of twitter. Good job, Jonnie! Thank you! 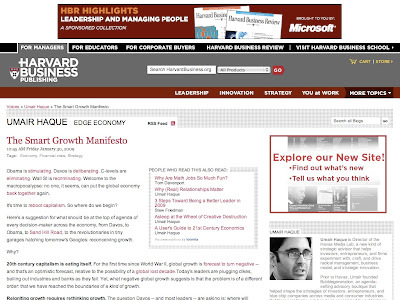 I probably shouldn't hide this article in the Harvard Business blog by Umair Haque on the edge economy... but I will mention it here and come back to it for more discussion once I have fully digested it. Outcomes, not income. Dumb growth is about incomes - are we richer today than we were yesterday? Smart growth is about people, and how much better or worse off they are - not merely how much junk an economy can churn out. Smart growth measures people's outcomes - not just their incomes. Are people healthier, fitter, smarter, happier? Connections, not transactions. Dumb growth looks at what's flowing through the pipes of the global economy: the volume of trade. Smart growth looks at how pipes are formed, and why some pipes matter more than others: the quality of connections. It doesn't just look at transactions at the global, regional, or national level -- how much world trade has grown, for example -- but looks at how local and global relationships power invention and innovation. People, not product. The next time you hear an old dude talking about "product", let him know the 20th century ended a decade ago. Smart growth isn't driven by pushing product, but by the skill, dedication, and creativity of people. What's the difference? Everything. Creativity, not productivity. Uh-oh: Creativity is an economic four-letter word. Why? Because it's hard to measure, manage, and model. So economists focus on productivity instead -- and the result is dumb growth. 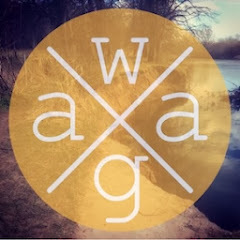 Smart growth focuses on economic creativity - because creativity is what let us know that competition is creating new value, instead of just shifting old value around. Awesome food for thought... a set of ideas that I wholeheartedly subscribe to. Thanks to swissmiss for the headsup. I've been a fab of charityshops for a good while now - I love the hunt - albeit... I have also wished that some stores were properly curated so that their pearls were more obvious to folk who aren't as prepared to dig or hunt. 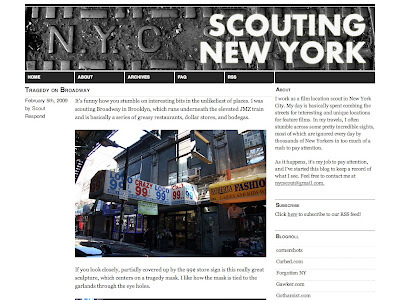 Last up, in this part, is the fab blog of a NYC Location Scout - I love seeing the locations... seeing stuff through the eyes of the author... seeing places and spaces that would be otherwise ignored. Lovely!